On Thursday, August 30, 2018 (6:30pm-location: Shipwreck Museum Motor Lifeboat House, Whitefish Point), Captain Jitka Hanakova of Shipwreck Explorers and internationally recognized underwater photographer, Becky Kagan Schott, will speak on the shipwreck of the Alice E. Wilds. In 2015 Jitka and her team researched and searched for the long missing steamship Alice E. Wilds off of Milwaukee, WI. She collided with the steamship Douglas on June 12, 1892 in a heavy fog. The Wilds went down but the Douglas did save all the passengers. Follow Capt. Jitka Hanakova and famous photographer Becky Kagan Schott as they take you on a journey of researching, searching, and ultimately diving this intact steamship at 300ft of water. 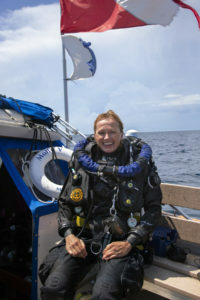 Captain Jitka Hanáková is the owner of Shipwreck Explorers LLC (www.shipwreckexplorers.com), and Owner/Captain of the charter boat Molly V, based out of Milwaukee, Wisconsin. Shipwreck Explorers offer recreational and technical scuba diving trips throughout the Western Great Lakes, operating Molly V seasonally from remote sites in Lakes Michigan, Huron, and Superior. 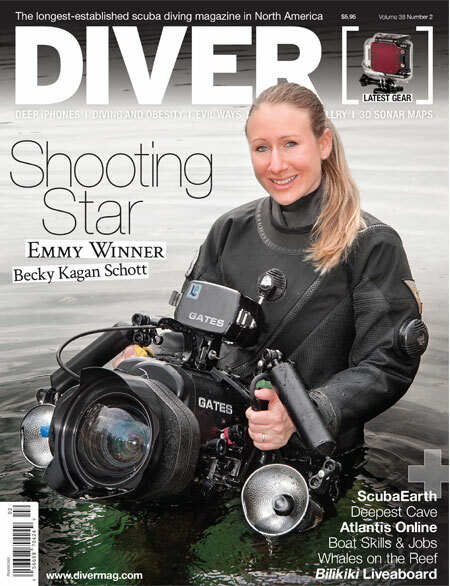 Jitka is an avid Great Lakes diver, award winning underwater photographer and videographer; and also enjoys free-diving, cave diving, and ocean wreck diving. Most recently Jitka and her dive team joined forces with the Whitefish Museum and the Great Lakes Shipwreck Historical Society on exploring and documenting the A.A. Parker shipwreck in Lake Superior, where Jitka captured stunning underwater images and videos of the shipwreck. Jitka has dived waters ranging from the Great Lakes to caves in Florida and salt water wrecks in the Atlantic Ocean including the wreck of the Andrea Doria. Jitka has been diving since 2000, has been using rebreathers (closed circuit) mixed-gas technology since 2008, and has successfully used this technology to gain access to cold water shipwrecks at depths of up to 360 feet. A US Coast Guard Licensed Captain, she has been working and diving aboard Molly V since 2007 and has been Molly’s Owner and Captain since 2008. Jitka has been active in both terrestrial research and on-water searching for new discoveries for many years. She re-located the steamship L.R. Doty in the spring of 2010. This world-class discovery resulted in a National Geographic documentary the “Ghost Ships of the Great Lakes”, which has aired on national television. Jitka was the keynote speaker at the Ghost Ships Festival in 2011, where she shared her experiences discovering and diving the wreck of the L.R. Doty. In 2015 Captain Hanáková and her team discovered the Alice E. Wilds also by Milwaukee using Klein 3000 sidescan sonar system, a true discovery. Come join us for this exciting program! Call 800-635-1742 for more information. Special Thanks to Stand Up for Great Lakes!